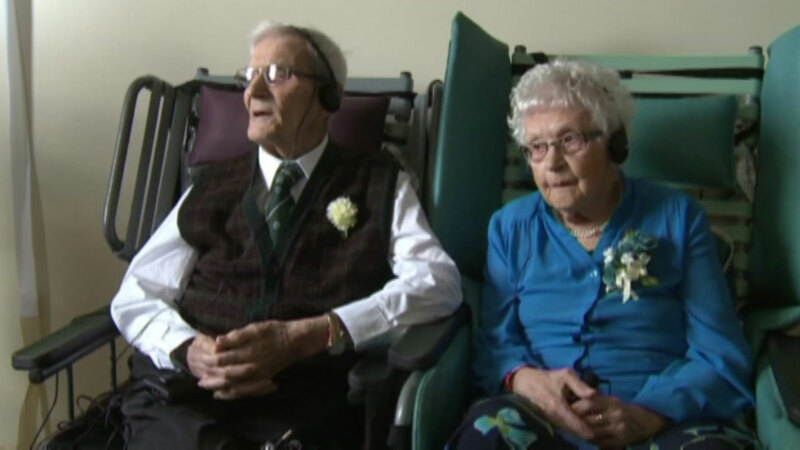 HOUSTON (KTRK) -- They may not be able to hear each other anymore, but one Canadian couple still speak the language of love. Willie and Diana Robichaud have been married for 80 years! Diana is 99 years young and her hubby Willie is 101. They celebrated their anniversary Friday with dozens of their grandchildren. One of their daughters said she never really saw her parents mad. She says she could always feel the love.